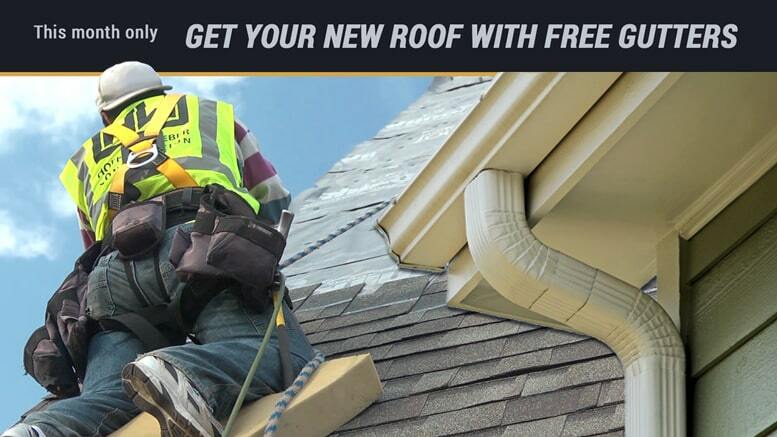 Get up to 150 feet of aluminum seamless gutters with any full roof replacement project signed by the end of April. Mention this promotion during your in-home consultation to take advantage of this offer. Minimum 2000 square feet roof to qualify, no insurance claims eligible. Call us (866) 970-1133 or fill out the form to book your appointment now. 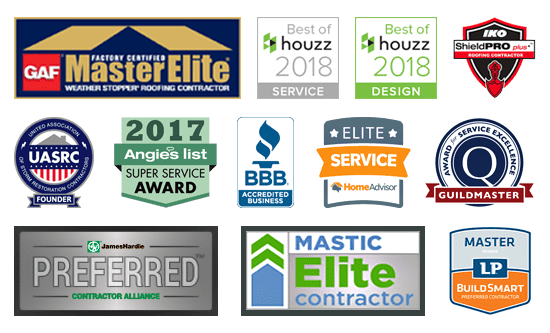 We are the roofing construction experts, providing expert workmanship and project management to ensure a quality roof and a stress-free experience for you. We use only high-quality materials and provide a level of professionalism that’s a cut above our competitors. We’ve already installed thousands of roofs to homeowners across the United States, and we’d like the opportunity to redo yours. 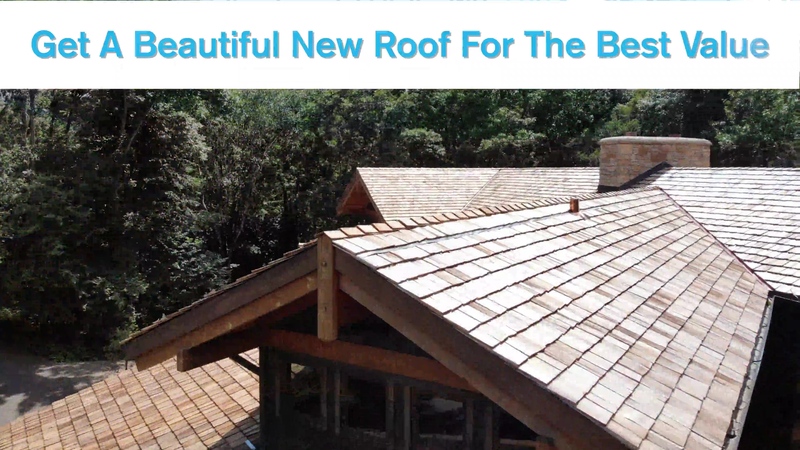 A quality roof is the only thing between you and the elements. When roofs are damaged, it’s easy for leaks to occur. This can lead to problems you can see, as well as those you can’t, such as mold inside your walls. Prevent further damage when you call on Hoffman Weber to take care of your roof repair from start to finish. It's relatively easy to spot cracked, split, or curling shingles. At Hoffman Weber, we don't stop there. We look deeper, inspecting your sheathing so we can replace it as needed. You will know exactly what is needed before we begin. And we'll back it up in writing, so you'll clearly understand what we do, before we do it. The morning your project begins, the roofing products you have chosen will be dropped off in your driveway or a designated location. A dumpster will also be dropped off to gather waste from the removal of your existing roof. We carefully lay out tarps and build protective devices over fragile plants and sensitive areas of your property and home. Our workers will begin removing the old roof material after your property is thoroughly protected. After all of the old shingles are removed, we will carefully inspect your roof decking for signs of rotting or defective installation. Any damaged roof decking panels will be replaced before we continue. We will install ice and water barrier and a fiberglass reinforced felt underlayment for superior moisture protection. We will also replace all vents, flashing, and install new drip edge around the entire perimeter of your roof. Our professionals will install the shingles you've selected using techniques which surpass your local building codes. We meticulously clean up your property, including magnetic sweeps of your lawn, sweeping of all driveways and walkways, and removal of all project debris. After your roofing installation is finished your HW Project Manager will carefully inspect the entire project – from the ground to the ridge cap – and ensure it meets our strict standards. While some contractors use staples, we use nails to better attach shingles to your roof, even in severe weather. Plus we go over your yard with a magnetic broom to ensure a clean sweep, leaving behind no unpleasant surprises. And even after clean up, we're happy to come out to fix any issues that occur. Did recent storms damage your roof? In addition to replacing your roof, we'll also communicate your needs directly with your insurer. We'll make sure that all of the damaged material is replaced to the limits of your policy. Here's how the insurance claim process works. Each one of our roofs is backed by one of the best warranties in the business. Because of our status as an IKO ShieldPRO Plus and GAF Master Elite Certified Contractor, we can offer an impressive lineup of warranties. Contact us for a zero-pressure estimate on your roof replacement or repair from Hoffman Weber, and you can get a new roof installed when it’s convenient to you. Choosing the right roofing product is not always a decision you make immediately. Learn about asphalt shingles and other roof products and costs at our remodeling blog.